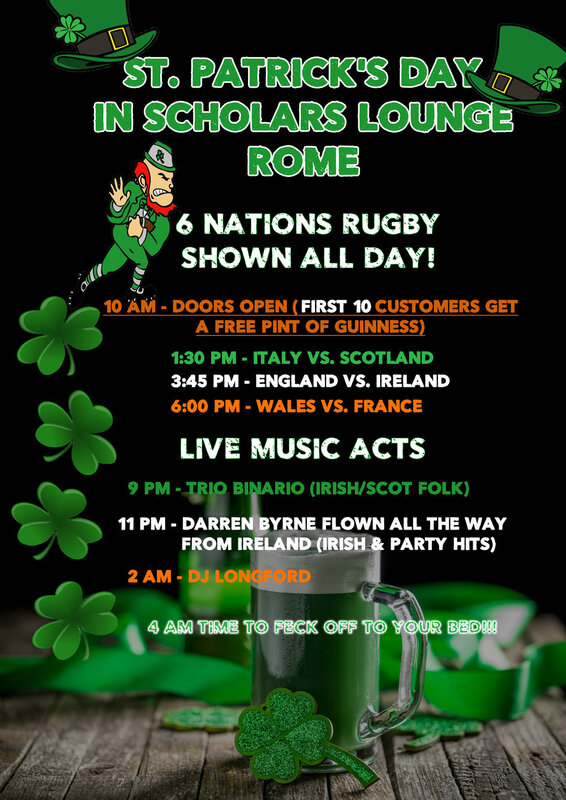 Where else to celebrate St. Partick's Day, when in Rome, if not at Scholars Lounge! PADDYMAN FOR SIX NATIONS WEEKEND IN ROME!!! Eddie Sheenhan will be playing for you on the 8th, 9th and 10th of February at Scholars Lounge! 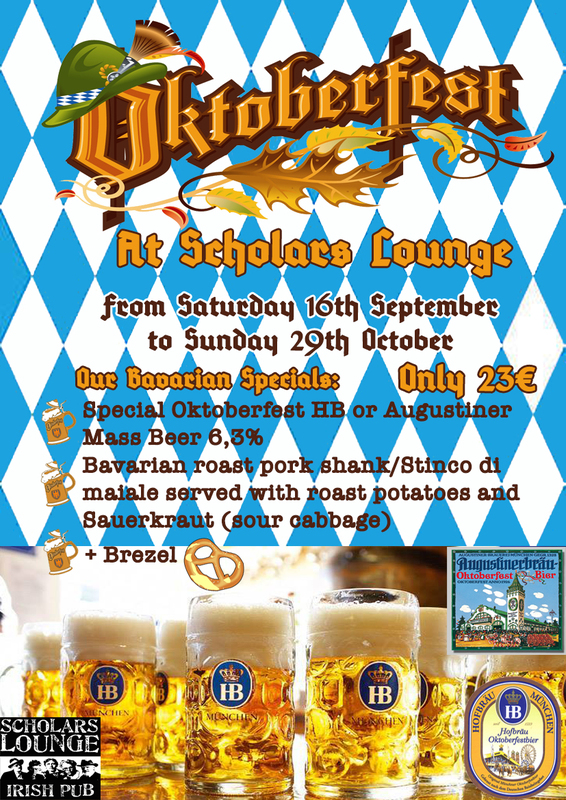 Come in and enjoy our Scholar’s Xmas party accompanied by famous winter hits played our Xmas Band! 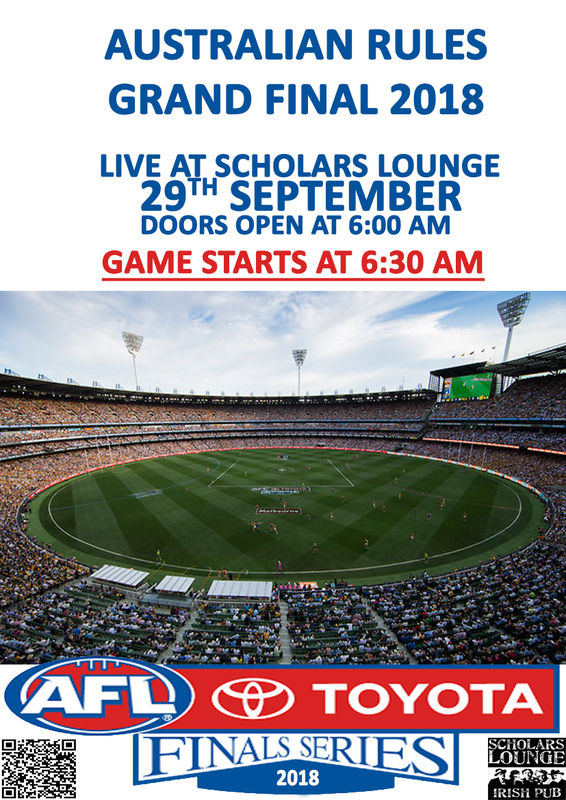 AFL GRAND FINAL SAT 29TH SEPTEMBER SHOWN LIVE AT SCHOLARS!!! ONE OF IRELAND’S GREATEST MUSICIANS IS DOING 3 NIGHTS EXCLUSIVELY AT SCHOLARS LOUNGE THIS MAY !!!! Live DJ set spinning the greatest hits of 2016 till the very morning! On 27th of August at 6AM ONLY at Scholars Lounge the fight Mayweather vs McGregor will be shown on all our 22 screens with a surround sound commentary! 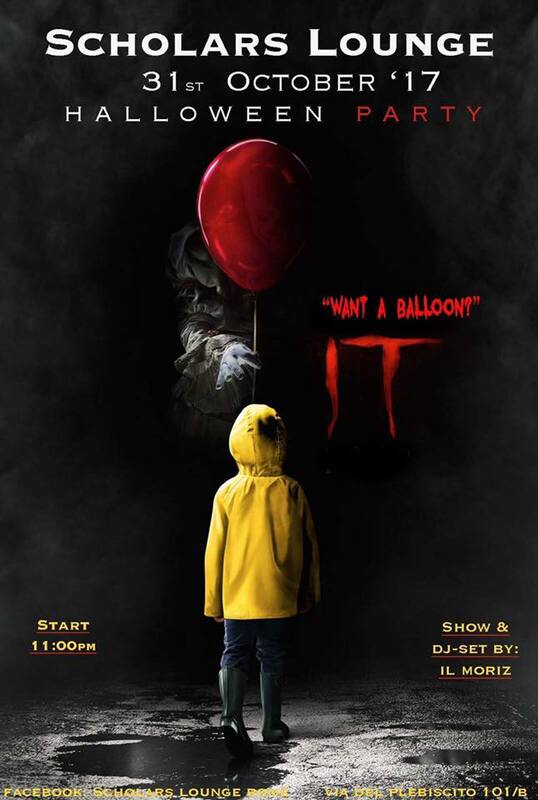 You cannot miss it! ACDC Tribute Band followed by DJ Kangaroo!! !